This great lime green creme is Disco. I used two coats. The formula was thick and pigmented and went on without streaks; I was really impressed! The glitter topper, I Heart You, has a clear pink base and is filled with small iridescent glitter and pink and red heart-shaped glitter. I applied one thick coat over Disco and wasn’t sure if it would work out with the green and pink layered, but it turned into a really great olive green shade! I think it actually ended up being my favourite combo with I Heart You! 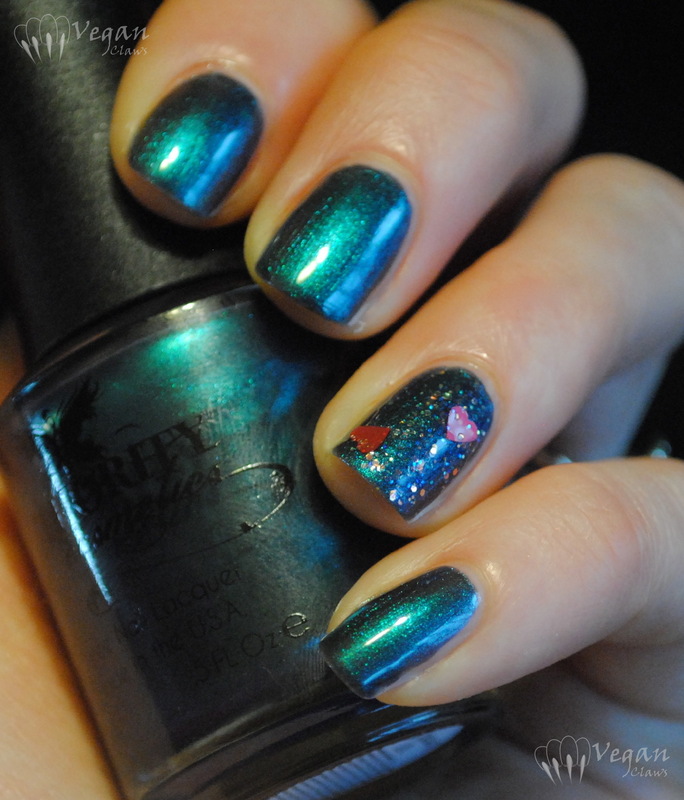 A couple of swirls of the brush generally brought out 1-3 hearts from the bottle without trouble, and there was a little placement of hearts involved to get them distributed evenly on the nail. 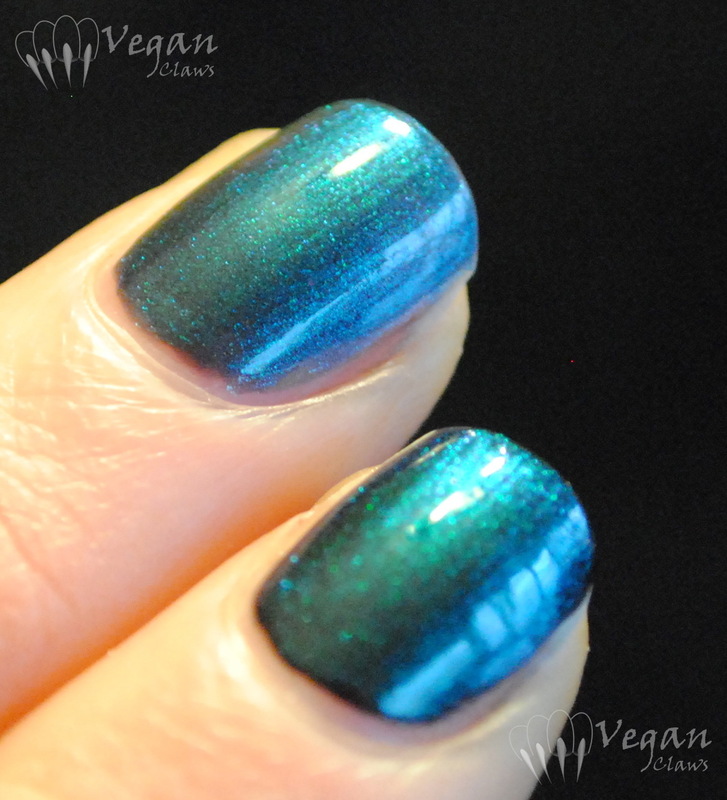 The second shade, Paradise, is a medium bright blue creme, also thick and pigmented like Disco. In fact, this swatch shows just one thick coat. I probably should have done two thinner coats instead of one thick, since I ended up getting a few tiny bubbles as it dried, but I wanted to see if it covered in a single layer. Here is one coat of I Heart You over Paradise, turning it a dusty periwinkle. Sorry for the little bald spots in the glitter; I didn’t notice until I took the photos! 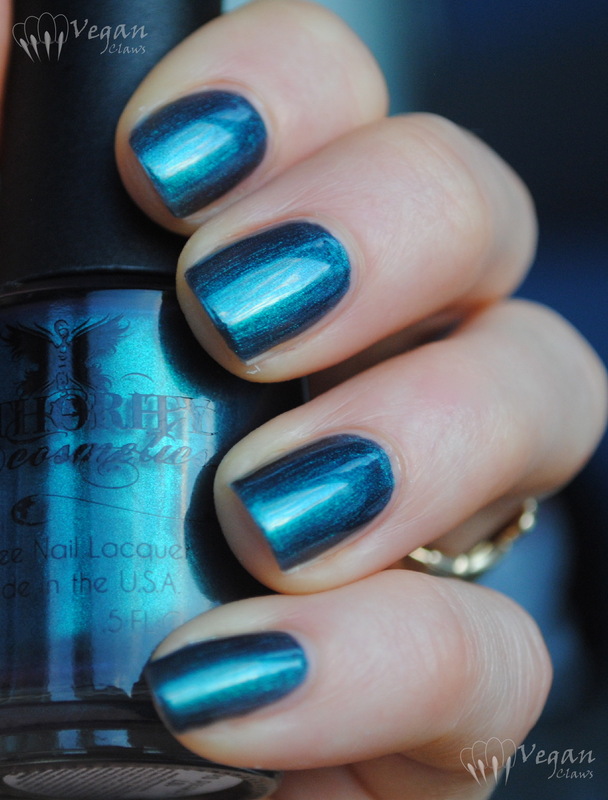 The base is sheer to let the shimmer show through, and the formula is thinner than the other polishes. It builds to a nice glowy colour in just two coats though, which is what is shown here. 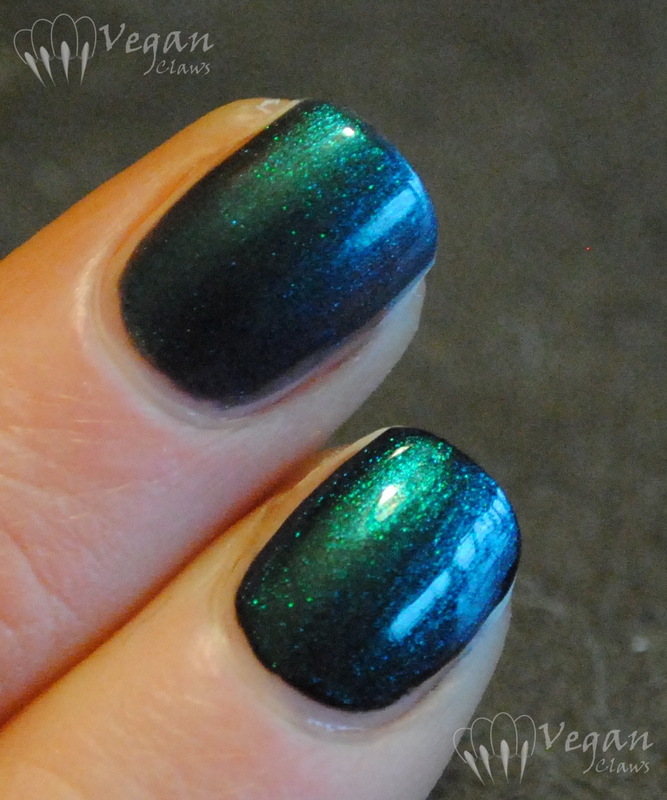 I also did a comparison with one coat over black versus two coats alone (bottom to top in the photos). Applying over black makes the look more opaque and dark, but doesn’t really change much about the colour shift. 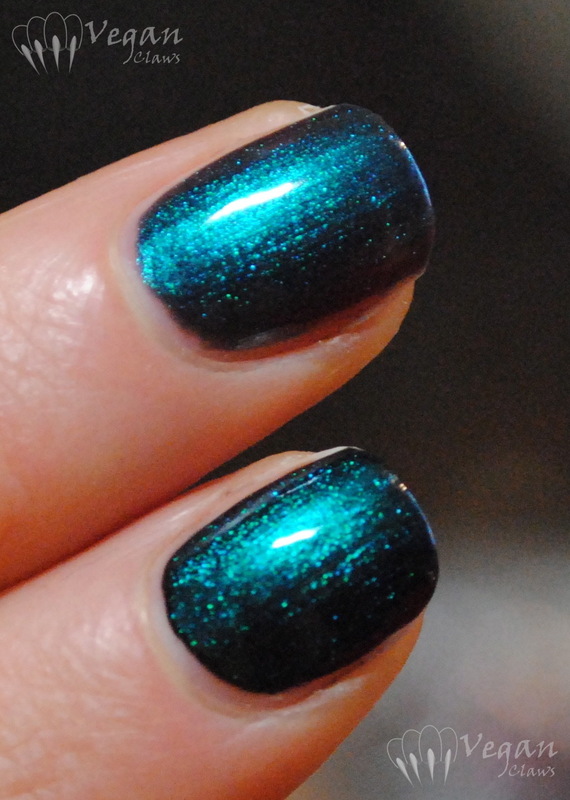 At an extreme angle, you can see the shimmer shifts more to blue. This last photo is under halogen light. 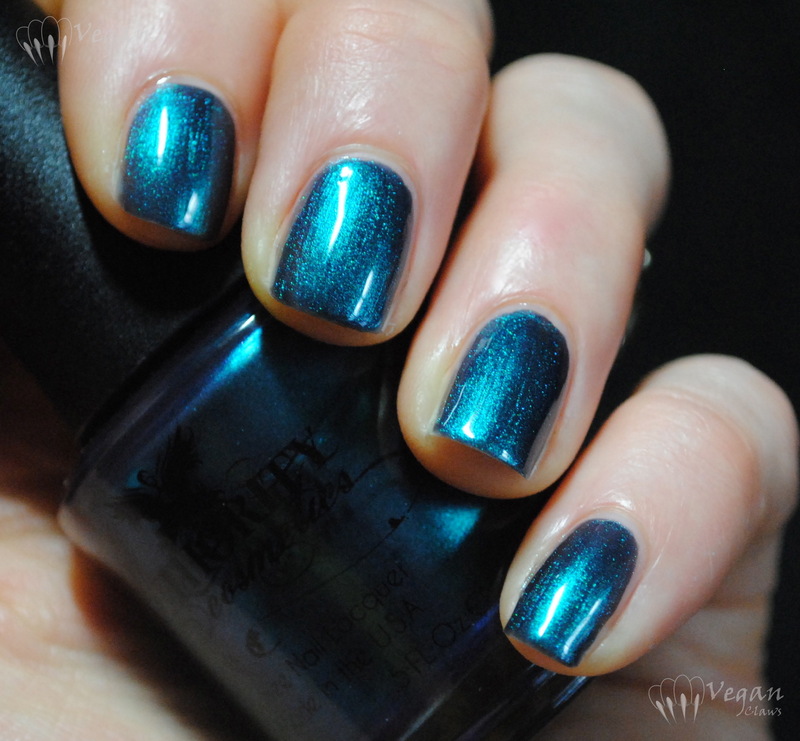 Disclosure: The polishes in this post were provided for review. Opinions expressed are my own honest opinions.